On July 29, 2016, President Obama signed into law an Act amending the Agricultural Marketing at of 1946 which provides for a national bioengineered food disclosure standard. The FDA sent letters to Governor Haasan explaining that under this new law there is no longer a need for state-specific labeling laws given that the Federal Government had set a uniform standard. On February 10, 2016 the Massachusetts Legislature voted “no” to HB 1674, a bill that would have required food producers and manufacturers to label foods derived from genetically engineered seeds. Lawmakers recognized the scientific facts behind this technology and the positive impact it has on our lives. By voting “no”, legislators protected Massachusetts consumers, grocers, farmers, retailers, and small businesses from incurring increased costs. Click on the FDA logo to learn more about the FDA’s stance on genetically engineered foods. 146:22 Definitions. In this subdivision: I. “Genetically engineered” means any food that is produced from an organism or organisms in which the genetic material changed through the application of: (a) In vitro nucleic acid techniques, including recombinant deoxyribonucleic acid (DNA) techniques and the direct injection of nucleic acid into cells or organelles; or (b) Fusion of cells, including protoplast fusion, or hybridization techniques that overcome natural physiological, reproductive, or recombination barriers, where the donor cells or protoplasts do not fall within the same taxonomic family, in a way that does not occur by natural multiplication or natural recombination. II. “Organism” means any biological entity capable of replication, reproduction, or transferring of genetic material. III. “In vitro nucleic acid techniques” means techniques, including, but not limited to, recombinant deoxyribonucleic acid or ribonucleic acid techniques, that use vector systems and techniques involving the direct introduction into the organisms of hereditary materials prepared outside the organisms such as microinjection, macroinjection, chemoporation, electroporation, microencapsulation and liposome fusion. IV. “Processed food” means any food other than a raw agricultural commodity and includes any food produced from a raw agricultural commodity that was processed through canning, smoking, pressing, cooking, freezing, dehydration, fermentation, or milling. 2 Genetically Engineered Crops. Amend RSA 433:14 to read as follows: 433:14 Rulemaking. I. The commissioner of agriculture, markets, and food is hereby authorized to adopt all necessary rules and to establish such fees as are necessary to carry out the provisions of this subdivision. II. 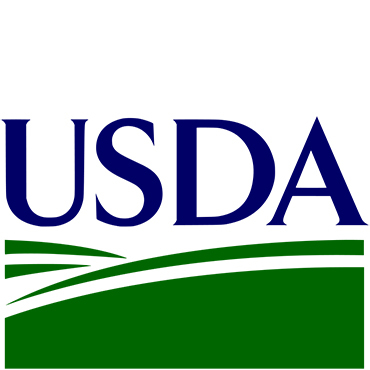 The commissioner of the department of agriculture, markets and foods shall adopt rules establishing best practices for farmers who grow or raise a genetically-engineered crop for trade or sale in the United States. Such rules shall require the farmers to implement the practices to eliminate or minimize the impact of genetically-engineered crops on neighboring lands and minimize herbicide use to eradicate herbicide-resistant weeds. 3 List of Genetically Engineered Agricultural Commodities. Not later than October 15, 2015, the attorney general, in consultation with the commissioners of the departments of agriculture, markets and food, health and human services, and environmental services, shall publish a list on the attorney general’s web site that indicates those raw agricultural commodities known to be genetically engineered. The attorney general shall update such list not less than once every calendar year.